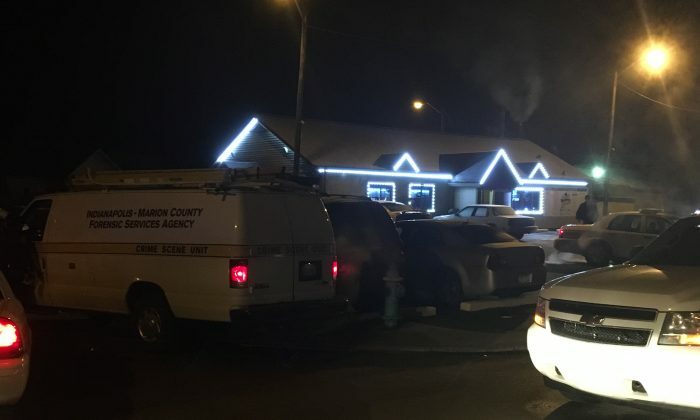 A shooting at a bar in Indiana left two people dead and three others wounded, police said. The shooting happened just after 2 a.m. early Monday morning, outside the Sawmill Saloon in Indianapolis. The saloon is located in the 1300 block of North Sherman Drive. The two dead victims were identified as James Ratcliffe, 50, and Deron Gray, 24, reported WISH-TV. Two of the injured are in critical condition while the third is stable, reported FOX59. One of the people was shot may be a suspect, police said. A “disturbance” at the bar preceded the gunshots, police said. They were interviewing about 30 witnesses although no arrests had been made as of noon Monday. Locals said the saloon is known as a problem spot. “Unfortunately, that place is why I don’t park my car out on the street. I’ve had two hit-and-runs from people leaving that place over the summer,” Brandon Schafer told the Indy Star. “There’s just no common sense, man. Last night around midnight they were going crazy out there. … I wish the place would close, to be honest with you. If it burned down today, I’d sit out there with marshmallows,” he said. Dorothy Avila, who also lives nearby, questioned why an altercation had to escalate to deadly violence. Officers noted the investigation may take a while. “It’s extremely intricate because there’s so many people involved, there’s so many possible witnesses to this, the bar was full of patrons at the time of this incident,” Officer Genae Cook told FOX. Police are asking anyone with information about this incident to call the IMPD Homicide Branch at 317-327-3475 or Crime Stoppers at 317-262-TIPS.